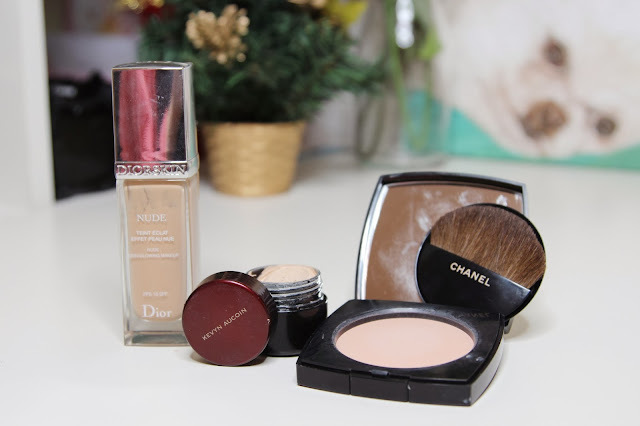 An excellent, light and glowy foundation. A great dupe would be the Rimmel Wake Me Up Foundation. What more can I say? This is definitely the King of concealers with its full coverage effect and never-ending pot of magic stuff! 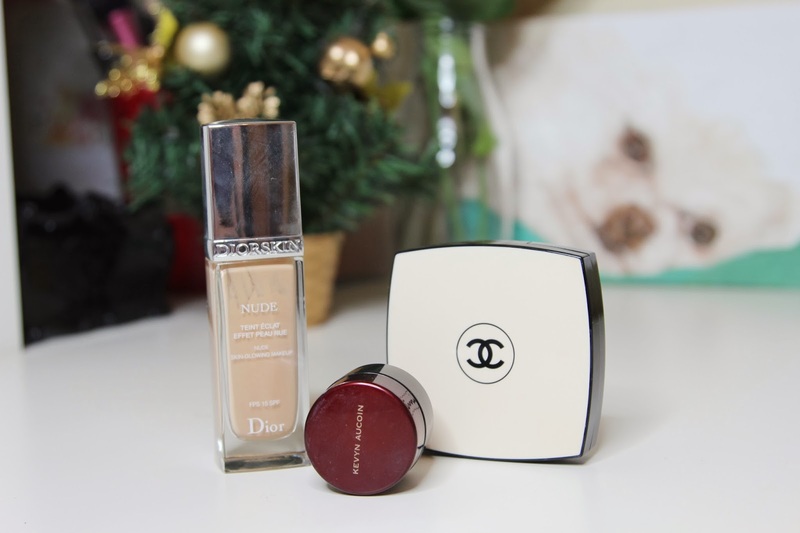 A very light powder just to set your foundation and mattify the skin. Never appears to be cakey, and the product lasts forever. A great contour color with its cool tones and never appears too brown or orange-toned. 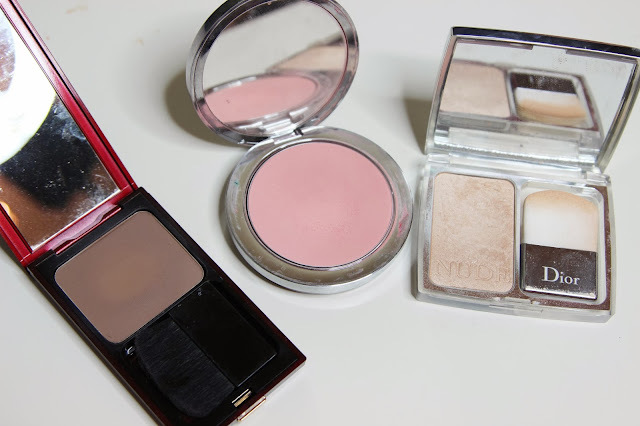 Easy to build up and very versatile for a subtle contour, or you can also go all out with this stuff. A discontinued product, but my all-time favorite blush nonetheless. It is the perfect shade of girly-pink with very high pigmentation. Unfortunately this was the only luxury highlighter in my collection. It's slightly too shimmery for my liking, but has a really nice silky texture. My favorite eyeshadow duo yet. 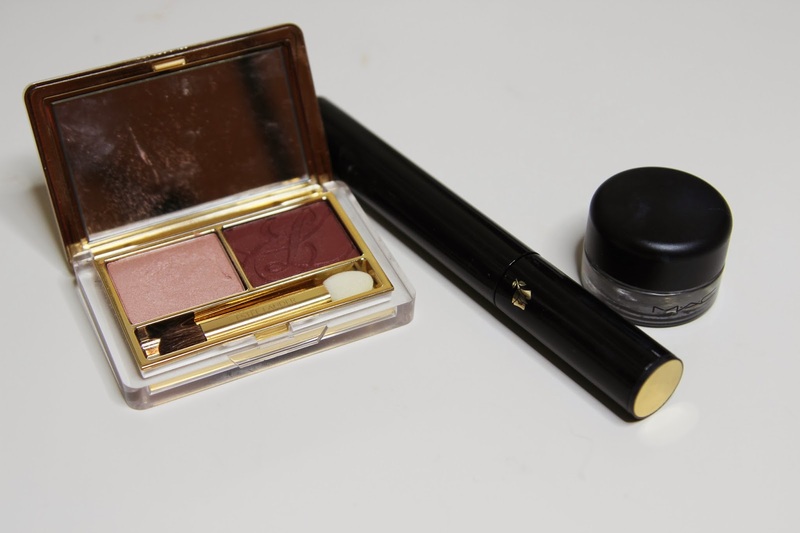 This is a great alternative to your average brown, neutrall eye makeup. Perfect for fall and any type of season as well. Pigmentation is amazing, and definitely beats Chanel and Dior eyeshadows in my opinion. Your saviour to short Asian lashes, particularly for coating my non-existent lower lashes. It's wand is thin, making application easy and breezy. Gives off very natural-looking eyelashes. My new favorite gel liner. Glides onto the eyelids really well and DOES NOT SMUDGE. Much better than the Bobbi Brown Gel Liners! 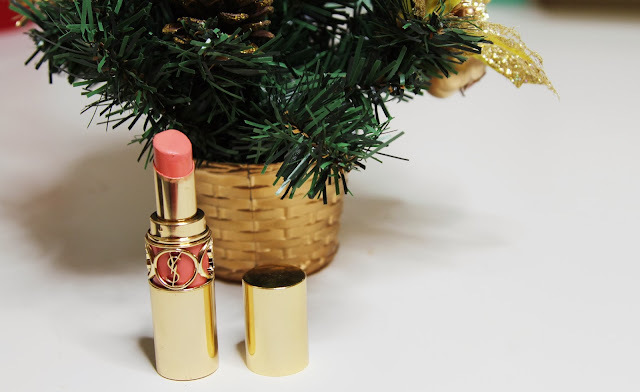 My favorite luxury lipstick and shade. 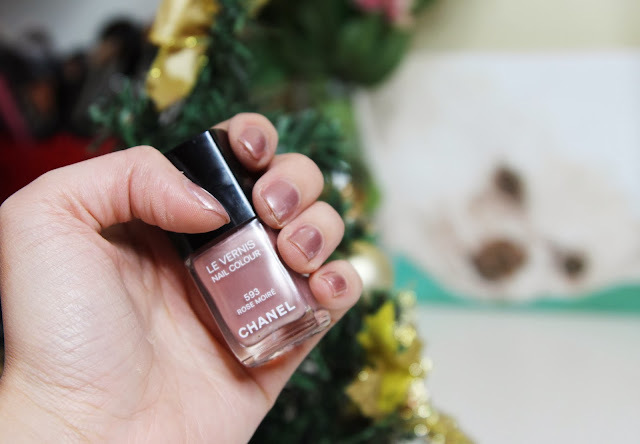 A beautiful peachy color with adequate pigmentation, glossiness and hydration. Has a very creamy texture though which some of you may find repelling. A gorgeous rose gold color with a metallic finish. One of my new purchases and favorites. 12. Diptyqe Candle My all-time favorite scents. If you don't like Rose scents, Diptyque candles will make your room smell good anyway, so do check out their other scents. Currently I have my eye on Figuier which I will try out once I'm done with this one. So that was my Princess Tag! Hope you enjoyed reading it, and let me know what is your all-time favorite luxury makeup brand?